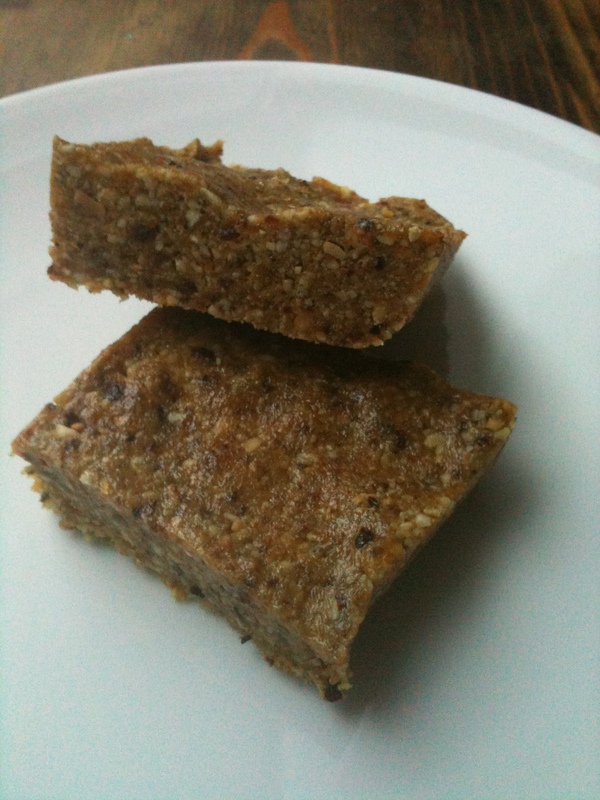 This is a variation on a snack bar that I make almost weekly… Ok, not weekly. More like monthly. They are great snack bars, somewhat akin to Lara Bars that you can buy in the grocery store. The difference with these is you have TOTAL FLAVOR CONTROL! 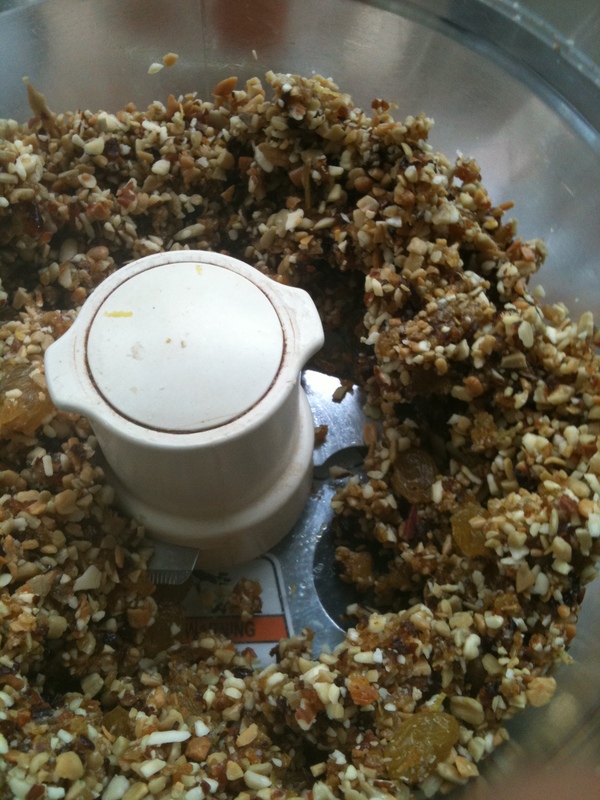 Pick any dried fruit, nut, spice, zest, or seed your heart desires and grind it up in a food processor. These are wonderful for all you on-the-go types who need something to munch on in lieu of a meal or even just a snack between meals. For all you CrossFitters out there, this would be a perfect post-Wod snack. For the health-conscious, go ahead and add some therapeutic herbs, spices, or superfoods. Ginger, tumeric, spirulina, maca powder, cacao, or goji berries. They all work great! I’ve been obsessing on lemon zest lately so that’s what inspired this bar. The resulting flavor kind of reminded me of a lemon tea bread that I used to eat as a kid. Give it a try! 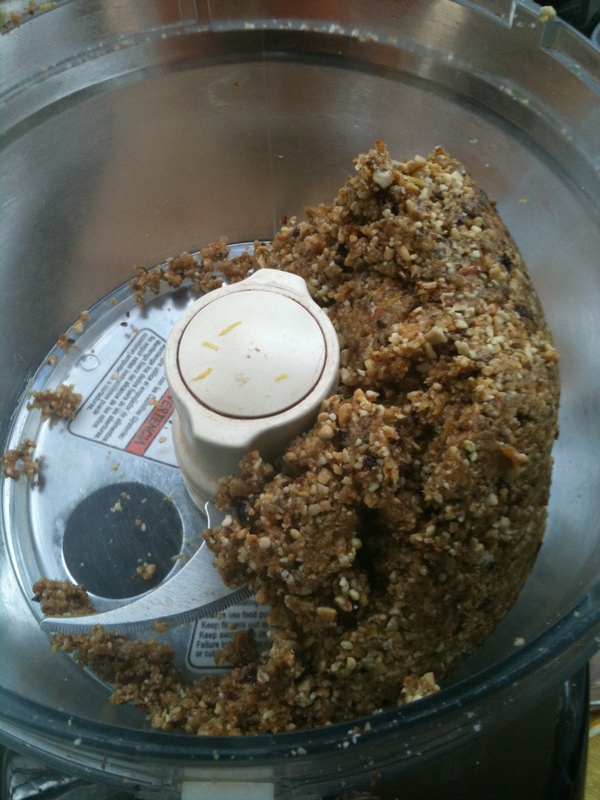 Put all ingredients in a food processor and process until sticky. Press into a small dish and cut into squares. scrape down the sides as the bits stick.